Galveston Palm Beach: A perfect vacation dream spot. 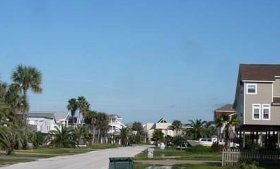 Galveston Palm beach is close to Pirates beach on San Luis Pass Rd. It is just at the tip of Galveston State Park and a few minutes drive to Jamaica beach. An excellent beach in a beautiful and well protected neighborhood. The seashore is wide and the ground is perfect for walking. It is a great place for children because the waters are shallow. One can sit in the waters with a lazy chair and feel the gentle surf flow over your legs. There are nice Galveston Texas vacation rentals here that tempt tourists to prolong their holidays. Some close restaurants are Subway on San Luis Pass Rd. 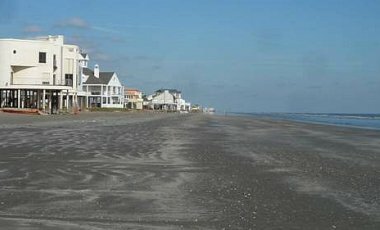 toward the seawall and the Waterman restaurant. There is also a little corner store deli about a mile toward Jamaica beach called Hummels general store and Deli. However the road is always clear to drive to Galveston seawall restaurants in 20 minutes. The Moody Garden attractions site is within 25 minutes drive and the cruise terminal or the Strand shopping district are within 30 minutes drive. Imagine Palm beach, come to the beach experience it. It's a moment to be revered.